There are many global providers who can develop a software application for you. There are few who can so ably interpret your vision, while guiding your process from initial concept to fully-launched success. We work with entrepreneurs and forward-thinking companies who are sensitive to value, but are most focused on quality and results. We understand how critical honesty and transparency are in the process of partnering with you for app development. This is why we have invested literally tens of thousands of hours in developing systems in communication and development to streamline the process from start to finish. With our unique and proprietary approach, your projects begin with an impressive launchpad of our core tools and libraries, enabling you to reach your objectives with greater velocity and excellence. Founded in 2010, AELOGICA provides development, maintenance and support for large-scale, business-critical Ruby on Rails applications in the form of expert teams committed to your success with long term engagements. We specialize in maintaining complex eCommerce systems that drive sales in the $10s to $100s of millions USD. AELOGICA is led by its founder, Steven Talcott Smith, who has earned a reputation as a software visionary in the industry. Steven’s over 25 year career as an entrepreneur, software developer and investor includes serving a variety of industries such as Travel, Healthcare, Finance, Real Estate and eCommerce. Steven leverages his deep entrepreneurial background and development mastery to architect and oversee AELOGICA projects for successful execution. 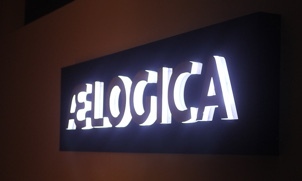 AELOGICA is headquartered in Reno, Nevada in the United States and maintains word-wide development facilities including Bonifacio Global City, Philippines. It’s here where the company is recognized as the nation’s premier employer of Ruby developers having attracted some of the top talent in a country widely preferred for outsourced development. It’s not just that the work gets done but it’s the way the work gets done. I can be assured of velocity because the methods they use expose the details to me and show that we are making progress. I can see the future by charting the velocity, and I see that the work is precise because we have tests for every aspect of the code. It’s an ideal environment with a very sharp group of people.